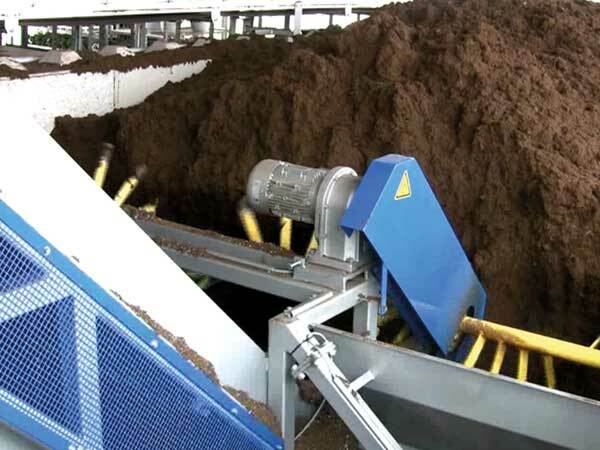 The Soil Digger is a storage and supply system for soil. The system is constructed with a 1 or more soil bunkers, a soil digger and conveyor belts. The soil is unloaded in the bunker by the truck. The truck drives into the bunker and at the end it will start unloading itself. The truck will drive forward during unloading. When the truck has left, the crane can be allowed into the bunker. The digging system exists of a predigging system which rotates during digging, in order for a small layer of soil to be created on the floor, which can be picked up by the soil digger. The small layer will be brought to the central conveyor belt by means of 2 augers. 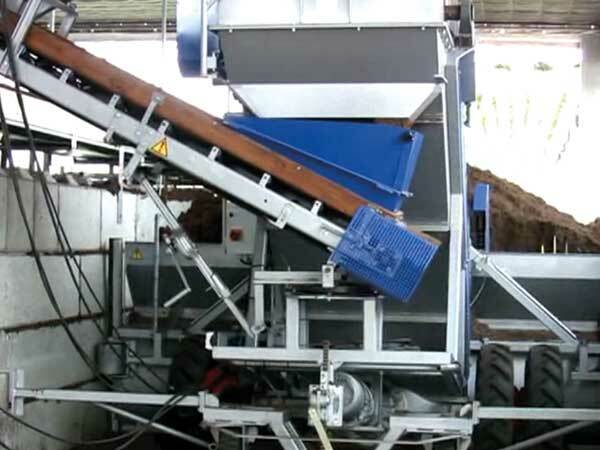 The central conveyor belt has buckets which picks up the soil and elevates it up to the small conveyor belt which brings the soil on top of the wall. 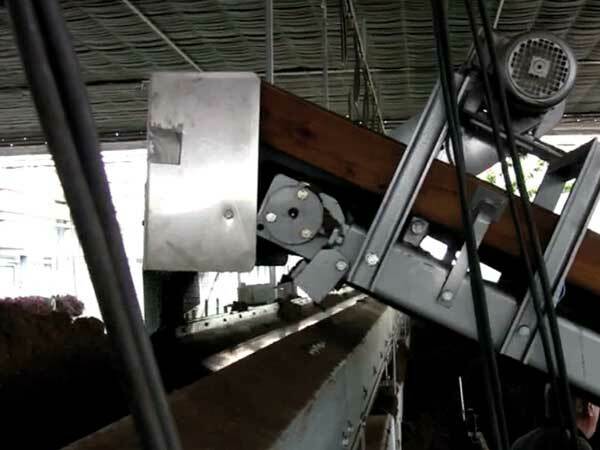 This conveyor belt can be rotated under the central conveyor belt so the soil can be transported to the left or the right side of the machine. A robust system operating over 6 bunkers! Why choose the Soil Digger? Up to 6 bunkers can be operated with 1 soil digger. The soil digger drops the soil on a conveyor belt which is mounted on top of the wall between the bunkers. This conveyor belt will transport the soil over the wall to the end of the bunker from where it can be transported to the (different) machine(s). When the Soil Digger gets to the end of the bunker it will be switched off by means of an end switch. The end switch will run to a mechanical stop which is mounted to the wall of the bunker. The Soil Digger can be driven out of the bunker by means of the control panel. When the Soil Digger is out of the bunker it can be driven to the another bunker.